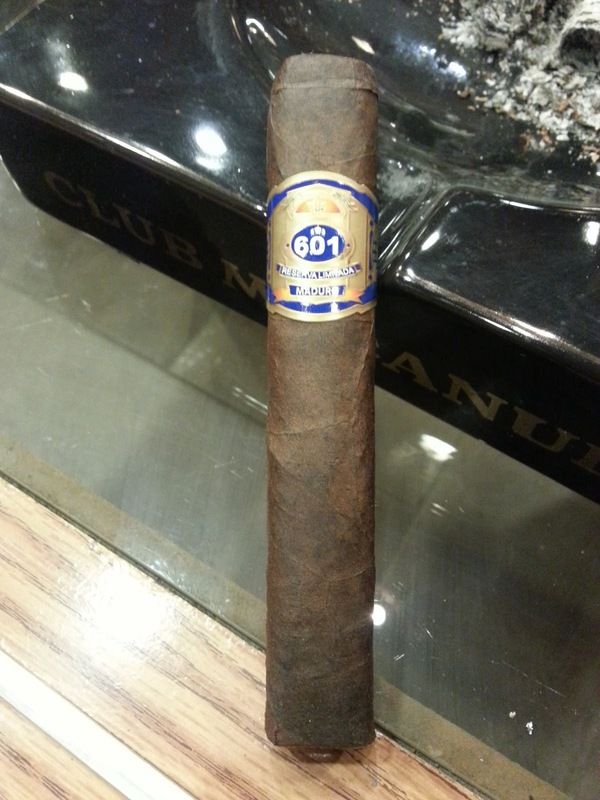 Appearance (0-20): The maduro wrapped 601, the Blue Label, is much more my style when it comes to cigars than my previous post on the White. 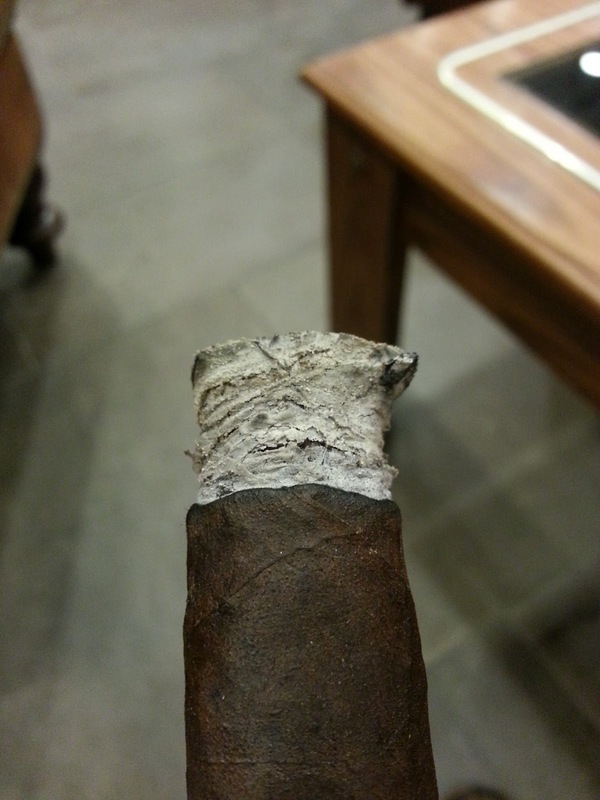 This one is right on the money in terms of its looks – a beautiful oily maduro wrapper with only small veins that are evident. The blue and gold label stands up to the dark hues of the tobacco beneath it, and it is overall a standard 601 presentation (though again, they have changed the bands multiple times over the years). It’s toothy, and looks like it will hold up well. Construction (0-20): Picking it up just reinforced the sturdy nature of this smoke. It gave a nice amount of spring back to the touch, and had no instances where it felt like it may be under packed. The initial cut was smooth and the draw was close to optimal, though it was a tad tight. After lighting up, the draw loosened a bit, getting it right to the sweet spot where it needed to be. The burn was outstanding: nice and cool, razor sharp, and it held the ash outstandingly (2inches at a time). Strength (0-20): Full strength? If it isn’t full strength, it’s at least pretty close to it. I felt it began more in the higher end of the medium to full range, and increased quickly into the full spectrum. 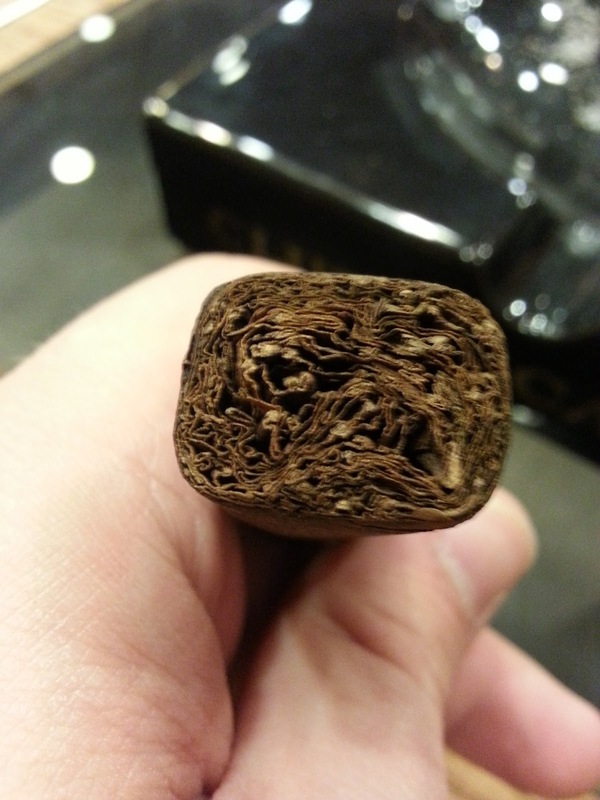 Flavor (0-20): Off the initial puffs of the cigar, you will find a really nice chocolatey and nutty mix going on. The retrohale has a slight pepper flavor to it, but the real thing to look for is an extremely smooth buttery quality to it that adds to the experience. The first third of the cigar closes out with the introduction of some coffee flavors that meld in harmoniously and enhance what is already there. But as each inch progresses, I found that the chocolate and nut flavors fade back and allow the coffee flavor to take over, still with that hint of sweetness though that keeps it from becoming bitter. 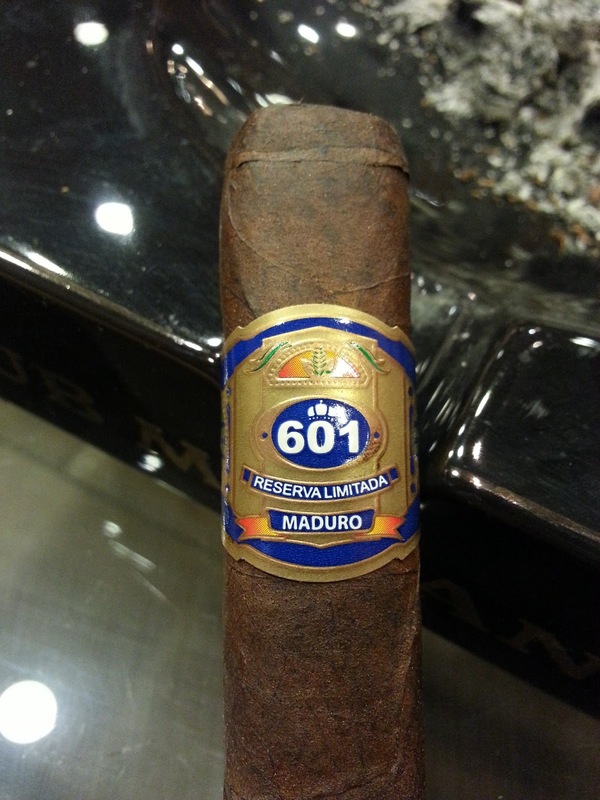 Value (0-20): $7.50 is a very nice pricepoint for a cigar with this power and flavor. Comparing it to some of the other heavy hitters out there, and the price will be either on par or better than the competition. 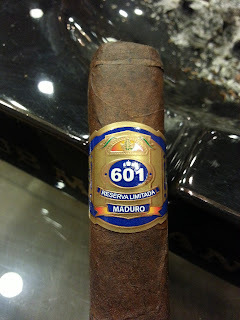 Overall (0-100): Where the 601 White was mediocre and boring, the Blue excelled. This expertly constructed stick has only small issues that knocked it from a potential top rating. The strength packs enough power to give it some real kick, but isn’t so much that your head is floating afterward. It’s a good thing too, since you’ll want to really be able to enjoy the coffee, chocolate, and nut flavors that this stick presents. At $7.50, it’s got a competitive price to other things out there with similar quality, and could actually be considered a bit of a bargain.